Rose is one of the most characteristic Moroccan flowers. Rose water, obtained by distillation, is considered as a real beauty treasure. This water is traditionally used by women to get a beautiful and fresh complexion or to purify and soften their skin. 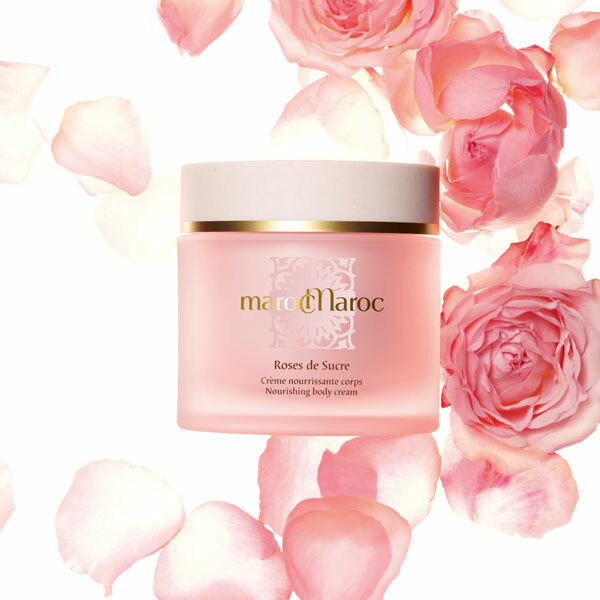 Pale Moroccan Rose is used in the sublimating skincare body range Majestic Rose. 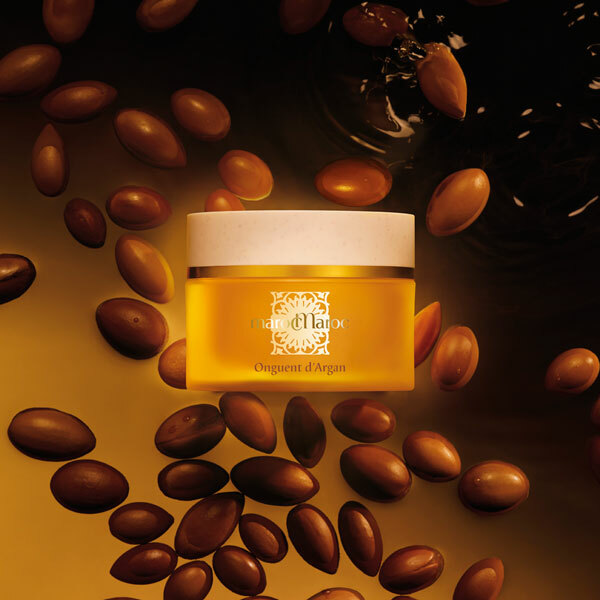 Argan oil is extracted from the argan tree which exclusively grows in semi desert High Atlas region, in the South West of Morocco. 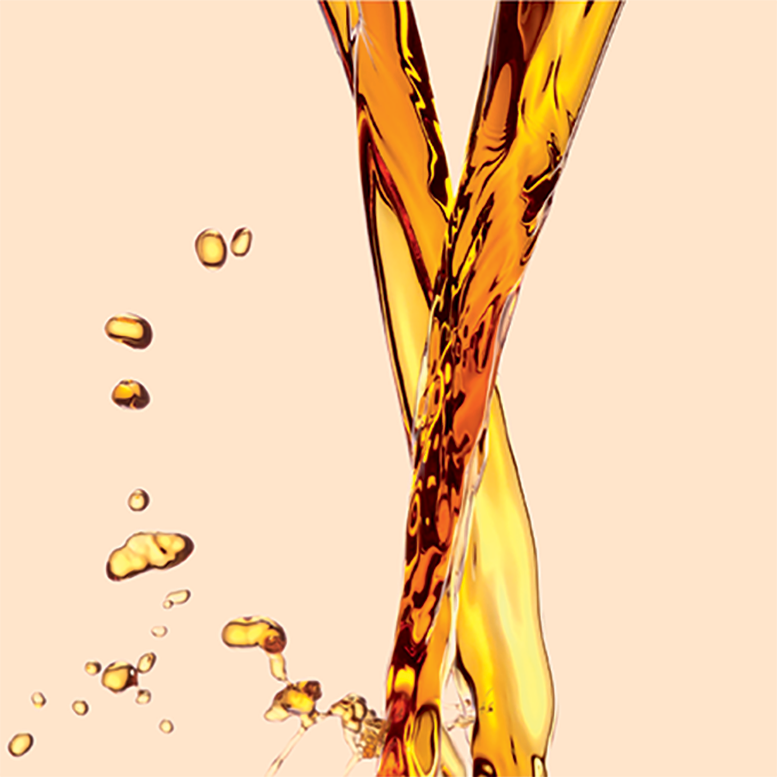 Very rich with oily essential acids and Vitamin E, the argan oil is well known for its moisturizing, revitalizing and anti-aging properties. 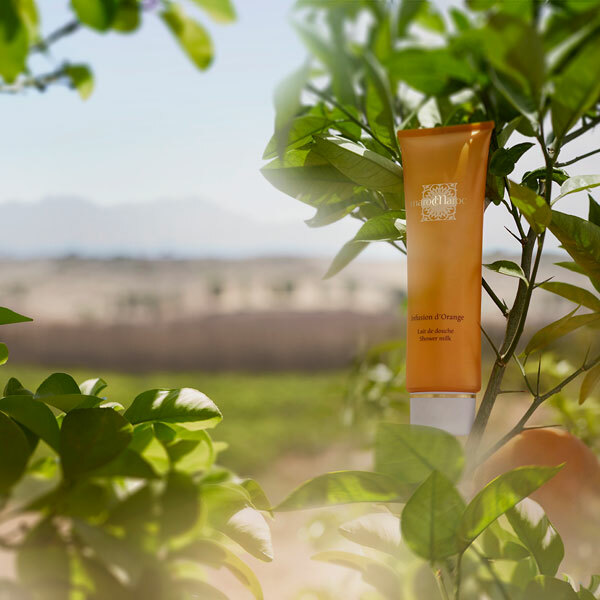 Argan oil is found in the Hammam range as well as in Amande en Crème, Roses Velours, Roses de Sucre, Richesse d’Arganier and Grains de Lumière. The almond tree is the most cultivated tree after the olive one. Extracted from almond seeds, the sweet almond milk is well known for its softening, moisturizing and restructuring cosmetic properties. Sweet almond milk is found in the products Amande au Lait and Amande en Crème. Orange Blossom Water is well known for its moisturizing, refreshing and calming properties. It relaxes and softens the skin and hair scalp. Subtly perfumed, Moroccan women add it as a component of their shampoo mixture and rhassoul mask. Orange blossom water is found in the products Amande au Lait and Fleur de Rhassoul as well as in Infusion d’Orange and Caresse de Néroli. 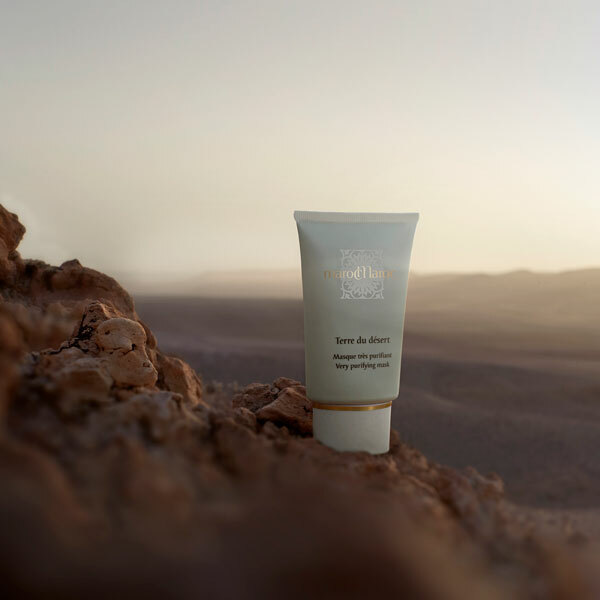 Extracted exclusively from Moroccan mineral deposits in the Middle Atlas borders, this ingredient belongs to the clay mineral category. It has been considered for centuries as an important asset. It is mostly used by Moroccan women to clean, exfoliate and soften their hair and skin. It is as essential as the traditionnal black soap or Kessa glove in the Hammam ritual. Rhassoul is found in the products Fleur de Rhassoul and Terre du Désert. Prickly Pear Oil is known for its rarity and its unique properties. Its composition is rich in active ingredients that have restorative and anti-wrinkle properties. Prickly pear oil is found in the products Sens et Encens, L’Or et l’Argan, and L’Or dans l’Eau.